On 12th May, 2011, seven chapter members of the Pertubuhan Akitek Malaysia (PAM Sabah Chapter) led by the Chapter Chairman, Ar. Ho Jia Lit paid a courtesy call to the Permanent Secretary of the Ministry of Local Government and Housing, Datuk Matius Sator. The Chapter highlighted the issue on the referral of development plans to the Central Board for approval. In order to speed up the process, the Chapter recommended that minor amendments made to the layout of the development plans need not be referred to the Central Board again. In an effort to be more transparent and to dismiss misunderstanding on the efficiency of the Central Board approval process, the Ministry agreed to publish the statistic on the number of development plans submitted and approved by the Board and the time for their approval. In view of the rising costs of properties in the State and the outdated and uncoordinated ad-hoc bylaws and guidelines, the Chapter stressed the importance on the revision of a uniform and relevant residential set back guideline. The Ministry had also agreed to look into the formulation the Sabah Building Ordinance and when such exercise carried out the Ministry would invite the professional bodies to be represented in the committee. The Chapter has also emphasised that DBKK has already been using a new residential set back guidelines albeit on a trial basis. In Sandakan, the setback guideline is also different. Confusion will arise when the development plans were sent to the Central Board for approval. Very often, they will be rejected as the new setback guideline is inconsistent with the existing by-laws. In an effort to preserve our environment and the concern for global warming, the Chapter also proposed to the Ministry to incorporate sustainable design criteria into the building by-laws. 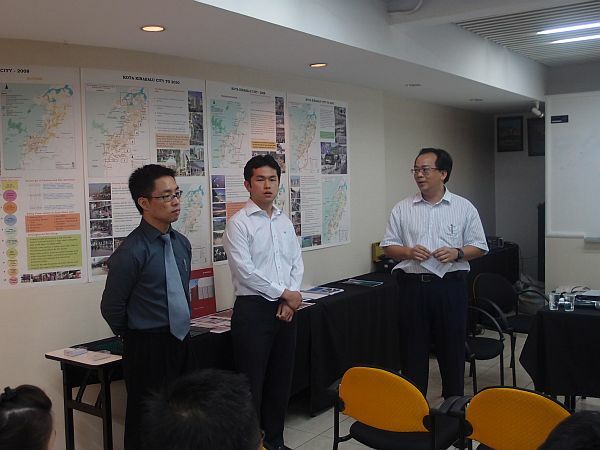 Encouragements and incentive will be given to buildings which have achieved the GBI (Green Building Index) certification. Some of the simple and basic energy saving design and construction details should be part of the regulation to be complied in new building construction. PAM Sabah Chapter highlighted that in a recent court case, the property inspection reports prepared by one architect professional were used and accepted as evidence for the assessment of the conditions of the houses in dispute. The Chapter stresses the importance of the inspection reports for cases referred to the Housing Tribunal. As part of the service to the building industries, the charges for the reports are very reasonable. A product talk on Bekaert Coated Wire was organized by the Chapter on 10th May 2011 at PAM Mini Auditorium. It was attended by 21 attendees and started at 9.30am and ended at 12.00pm. Ar. 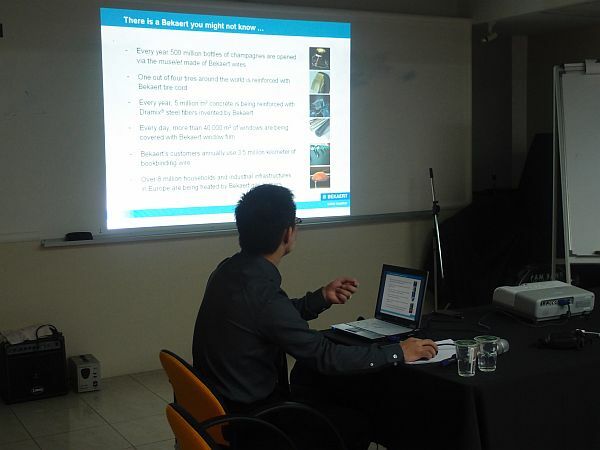 Aaron Fong welcomed all and introduced the Business Development Manager from Sabah Wiremesh & Fencing Sdn Bhd, Mr. Leong Wah Kon to invite the speaker, Mr. Alex Chin Ying, Sales Engineer from Bekaert Singapore Pte Ltd to present his slide on the Bekaert Coated Wire products. Bekeart is a global market leader in drawn steel wire products and applications and a technological leader in its two core competences: advanced metal transformation and advanced materials and coatings. In building industry, there are many products from Bekeart for wire mesh in construction. After the Q&A session, the talk ended with lunch. Vote of thanks to Sabah Wiremesh & Fencing Sdn Bhd on the informative talk and for the generous sponsorship. 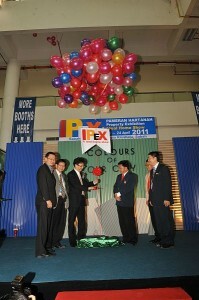 International Property Exhibition (IPEX) for year 2011 was successfully organized by PAM Sabah Chapter in collaboration with the Kota Kinabalu City Hall (DBKK). The theme for the exhibition this year is “Colours of Our City”. The exhibition began on 21st April 2011 and ended on 24th April 2011. It features 91 exhibition booths. A total of 68 exhibitors comprising interior decorators, landscapers, building material manufactures/suppliers, housing developers, kitchen designers and government agency (KWSP) took part for the event at the Sabah Trade Centre. 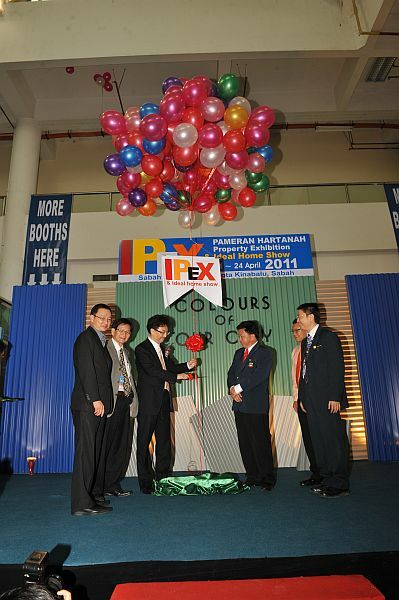 IPEX 2011 was officially launched a by Minister of Industrial Development, YB Datuk Raymond Tan Shu Kiah, Datuk Yee Boon Hai the Director –General of DBKK represented Mayor, PAM President, Ar. Boon Chee Wee, PAM Southern Chapter Chairman, Ar. Azman Bilaji and Deputy Chairman of PAM Sarawak Chapter, Ar. Mike Boon also attended the opening ceremony of the event. During the 4 days event, other interesting sub-events such as daily lucky draw, Photography Competition, Edible Architecture Competition, City Kids Children’s Coloring and Drawing competition and Ms IPEX Personality Contest and fashion show were held. On the first day of the event, the prize presentation for Photography Competition was announced. The judging for the sub-event was held at PAM Centre on 12th April 2011. The judges were Ar. Yong Ming Cheong, Ar. William Ho and Mr. Danny Kok, President of Sabah Arts and Photographic Society. The prizes were sponsored by Bluescope Lysaght (S) Sdn Bhd and Monier Sdn Bhd.